The hardest working hamster around is back and busier than ever in Stanley’s Store. 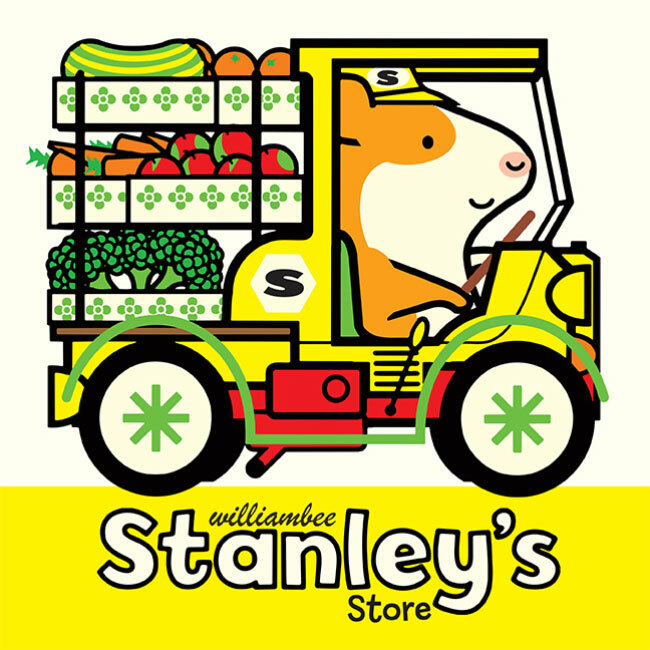 The sixth title in William Bee’s much-loved Stanley series, Stanley’s Store invites young readers to explore grocery processes, colors, machines, and community with his loyal cast of rodent friends. Stanley has fresh fruits and veggies to be unloaded, Myrtle needs help at the cheese counter, Shamus and Little Woo’s groceries must be rung up. Even for an industrious hamster like Stanley, running a store is hard work! 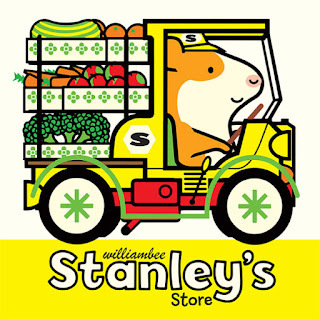 With bold digital illustrations and the series’ beloved cast of characters, Stanley’s Store introduces young readers to the daily workings of a grocery store, concluding with the hamster’s comforting nighttime routine that readers have come to love in all of the Stanley’s picture books. We’re stocking the shelves of your local library, indie bookstore, or Barnes & Noble with this publication produce on March 1st.